Modern organizations are fraught with challenges; Generational, cultural, geographical, technical, market complexities and more. Operating in a volatile, uncertain, complex and ambiguous (VUCA) world requires getting all levels of your organization aligned, moving in the same direction, executing on the same strategy, all while developing greater levels of agility. When life is as stressful as it is today, it’s hard to stay focused and remain present enough to adapt to change. It’s not easy to maintain and build the necessary networks of trusted relationships. Having the right people in the right jobs is necessary, but not enough. Many leaders have a sense of the underlying problems that manifest in a variety of dysfunctional behaviors. How do you bring your organization to a more conscious understanding of the root problems? How do you ensure that communication and behaviors are congruent with your organizational values and unify everyone to achieve your strategic goals? VN&Co consultants utilize dynamic action methods drawn from our experience in theatre and the performing arts. Throughout our twenty years of working with clients, we’ve discovered, that above all else the metaphor of “story” brings to life both the conscious and unconscious source of attitudes, behavior, identity, and more. This is why we focus so much of our programs, coaching and consulting on exploring the inner story that we each possess. This process illuminates the disconnect between what we believe and what we desire to achieve. The end result is an organization effectively working together toward a clear strategy as one unified whole. How effective are your people at presenting themselves and their ideas? By the end of this program, they will be able to connect authentically with clients, colleagues and teams. They will be more compelling in meetings, presentations and one-on-one challenging conversations. 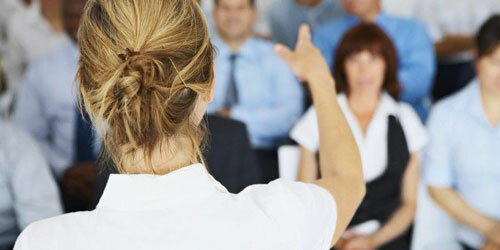 * “The Connected Communicator” program is customizable to meet your organization’s needs. We create a case study that brings to life situations currently playing out in your organization. In a highly interactive setting and using storytelling and theatrical dramatization, we’ll play out that case study ‘on stage’ to help your teams gain perspective on the challenges they face and opportunities they do not yet see. We facilitate the crafting of a new version of the story and a strategic plan for how to get there. 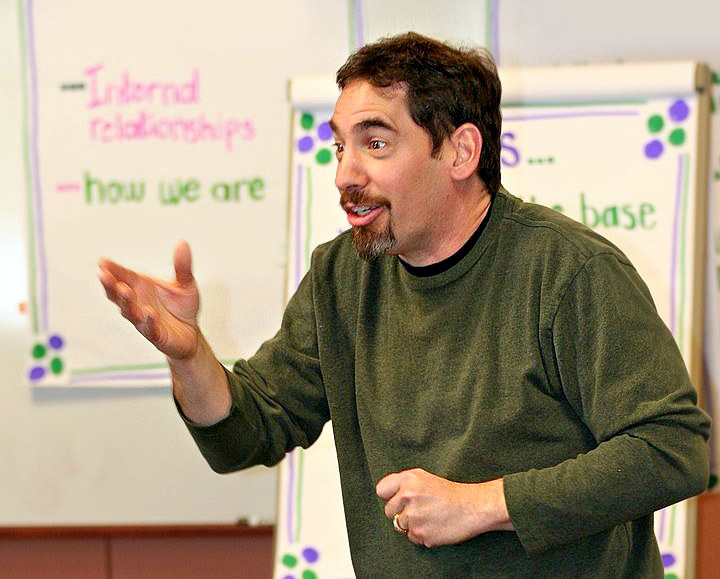 We bring an ensemble of specially trained actor-facilitators to your event. Using a uniquely engaging form of improvisational theatre, we enact true stories and feelings from the audience. This process creates deep empathy and connection between team members and various, sometimes disparate groups. With links made to key organizational goals, Playback Theatre is great for meetings and conferences to build alignment, celebrate milestones and enhance community. Do your leaders understand the power of stories? By the end of this program, they’ll become powerful influencers that craft compelling stories and link those stories to business objectives. They’ll learn how to use stories to motivate and influence customers, colleagues or teams. Every organization is unique. That’s why all our programs are customizable to meet your needs. We can design programs that build on existing events or develop something from scratch based upon your specifications.